There are laws to protect your rights on the job if you become disabled through illness, an accident or injury. 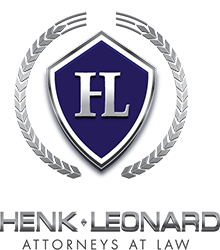 The legal team of HenkLeonard, in Roseville, California, knows the complicated, sometimes overlapping, laws in this area, and we will strive to make those laws work for you. If you’ve been terminated or discriminated against by your employer because of your physical or mental disability, you need an experienced attorney on your side.Contact Robert Henk and Sheri Leonard at (916) 787-4544 for a free initial consultation. Our typical clients are people with disabilities, including professionals, and non-professionals. Something happens — illness or injury — to cause a disability. Employees need their employer to provide some accommodation, like time off or an adjusted work schedule. The employer denies the accommodation, and ultimately the person with the disability may be terminated. Understandably, many of our clients are angry, frustrated and stressed, and they are entitled to damages, and potentially getting their job back. Our lawyers will help protect your employee rights in each of these situations. We begin by listening carefully to your descriptions of your job and duties, your accident, injury or illness and what restrictions your doctor placed on you because of the disability. We do as much front-end work as possible, including gathering medical records and investigating the facts.